Clear skies. Low 33F. Winds NNE at 10 to 15 mph..
Clear skies. Low 33F. Winds NNE at 10 to 15 mph. Boden Schott of Rollingstone, Minnesota, holds his kitty, Kleenex, who lives on his grandparents' farm in Wisconsin. 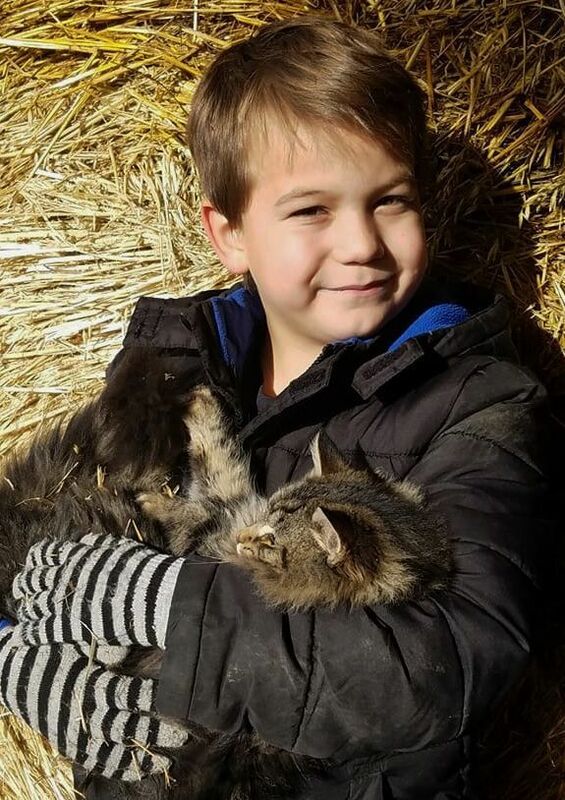 Brooks Schott of Rollingstone, Minnesota, cuddles with his kitty, Jackie, who lives on his grandparents' farm in Wisconsin. Putter, top right, is a little calico. Delilah, top, is a black-and-white cat. Gracie, the tabby at bottom left, is the matriarch. The three like to take snoozes together as well as find all sorts of mischief. They reside at Moonlit Meadows Performance Horses with Mandi Mincheski near Denmark, Wisconsin.